Tree branches are silhouetted against the sun during the partial eclipse as seen from Paynes Prairie in Gainesville. 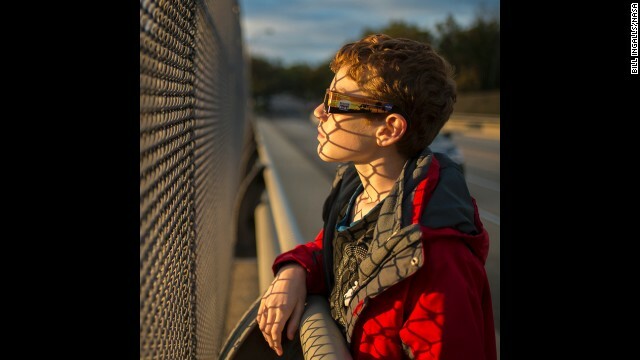 Alex Frye watches the eclipse in Arlington, Virginia, using special viewing glasses. Norm Vargas holds a filter so another person can view the eclipse through a telescope at Mount Wilson Observatory in the San Gabriel Mountains northeast of Los Angeles. Fishermen are seen from the M.B. 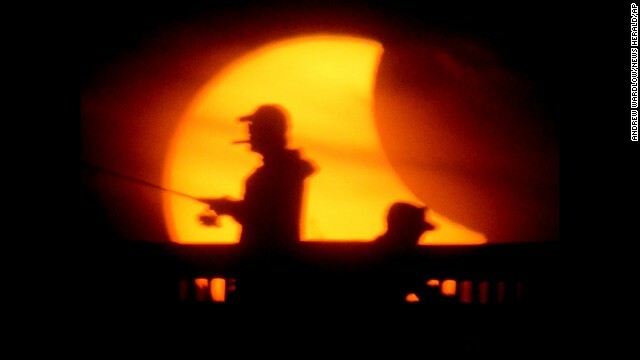 Miller County Pier in Panama City Beach, Florida, during the solar eclipse. 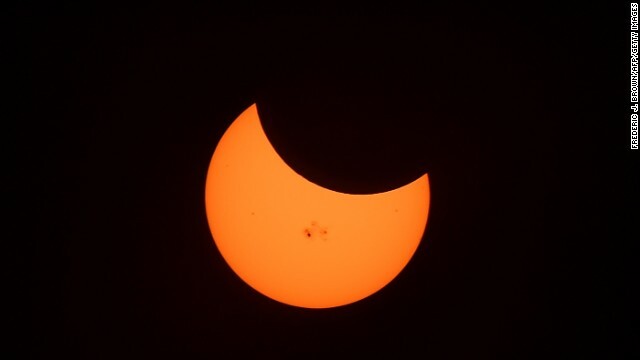 Sunspots are seen during the peak moment of the solar eclipse when the moon was covering 34% of the sun. 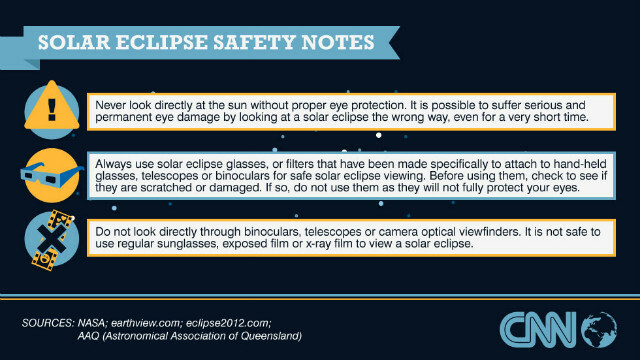 Please make sure to protect your eyes if you watch the partial solar eclipse. Share your photos with CNN iReport. (CNN) -- Maybe your mother told you it's not polite to stare. 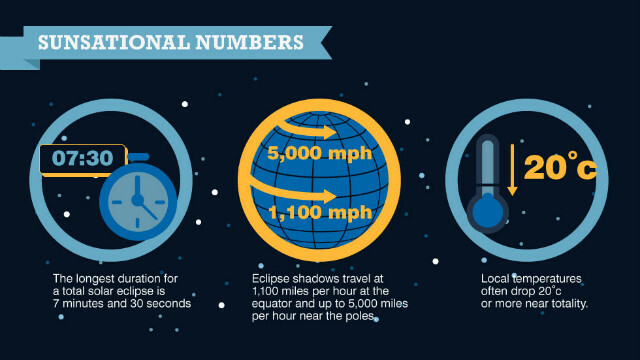 It wasn't safe either, NASA said, for those who looked at Thursday's partial solar eclipse. "Don't stare," NASA said. 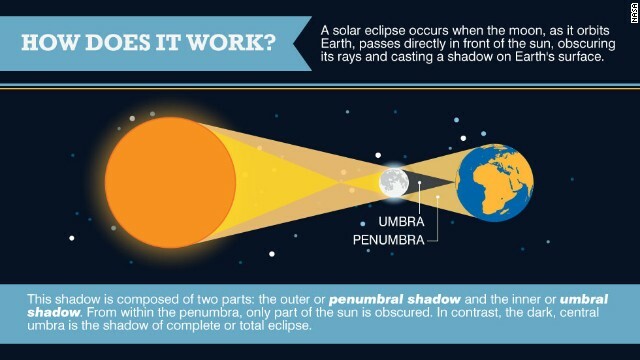 "Even at maximum eclipse, a sliver of sun peeking out from behind the Moon can still cause pain and eye damage. 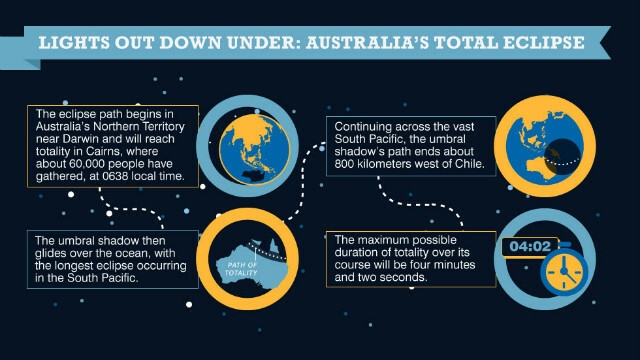 Direct viewing should only be attempted with the aid of a safe solar filter." The show in the sky reached its height at 5:45 p.m. ET, NASA said, meaning the eastern half of the country should have gotten a view before the backdrop of golden twilight hues. The moon clipped the sun and should have made it look like a fingernail as it set in the west for most of the country and Canada. 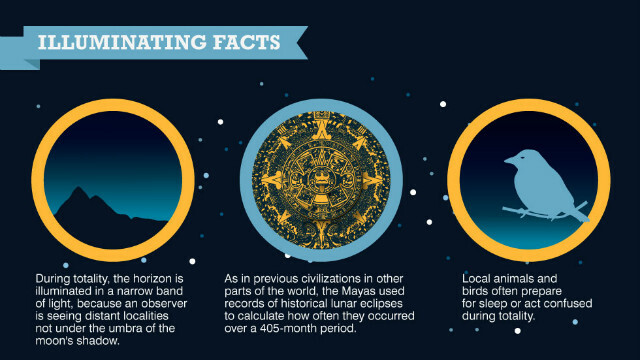 People living in the Central Time Zone had the best view, NASA said. New England and Hawaii will miss out on this one. 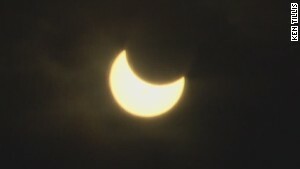 The eclipse was expected to last for over two hours. 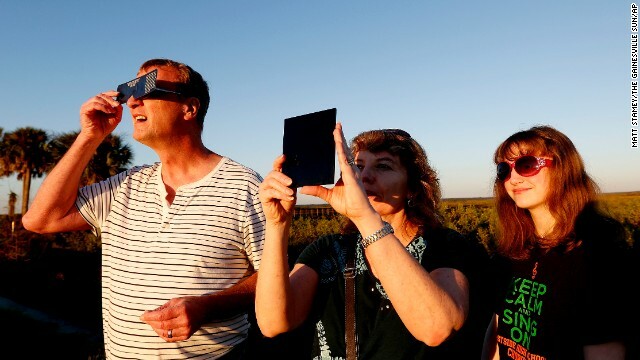 NASA urged people viewing the eclipse to protect their eyes. 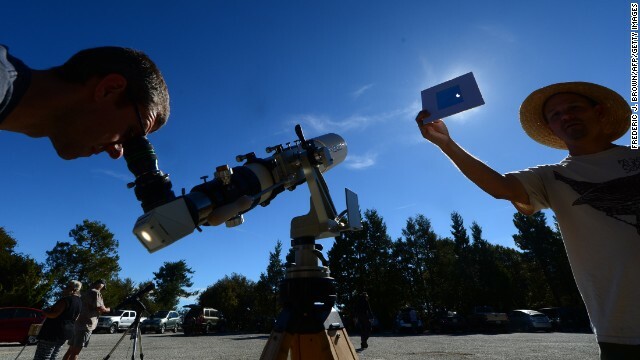 NASA suggested some old tricks for viewing indirectly, like punching a hole in cardboard and projecting the light seeping through it onto a surface away from the sun. 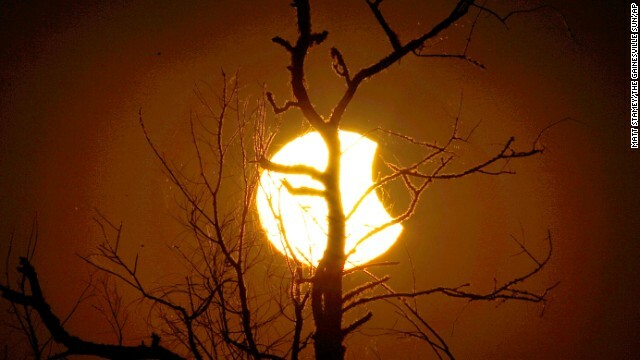 Or letting a tree do the work for you: "Overlapping leaves create a myriad of natural little pinhole cameras, each one casting an image of the crescent-sun onto the ground beneath the canopy," NASA said. 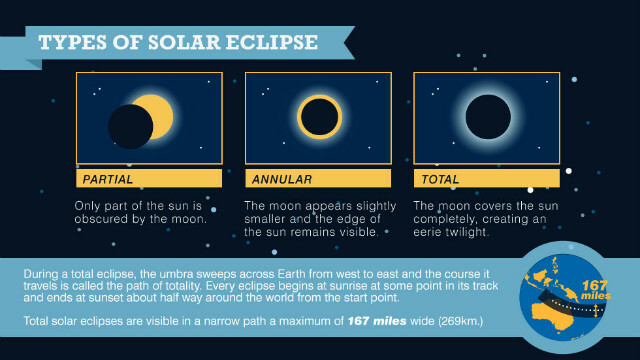 If you missed this one, the next solar eclipse over North America will occur in about three years -- and it will be a more dramatic and rare total eclipse.